Now you can let visitors download your videos. Simply pick a video and click Edit. Under Video Pricing, choose if you want to allow downloads. - Videos will play without sound due to browser restrictions. - Not all layouts offer auto-play (i.e. strips and sliders). 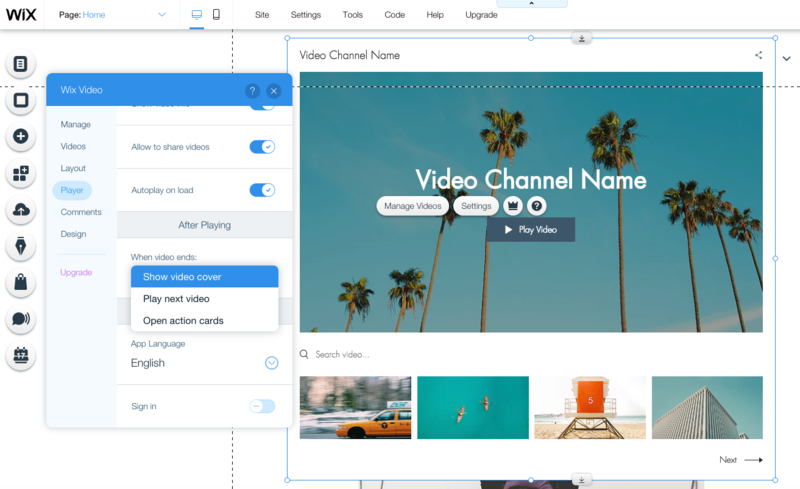 Showcase your videos in a grid layout. You may notice it feels a little different when you go to add Wix Video to your website. That's because we've changed the images and demo content. Now it says "Your Video Channel Name" and "Your Video Title" to make it easier to understand what to put there. Now you can add a single video to your site. Choose from two new layout options for your video player: Big Slider and Small Slider.